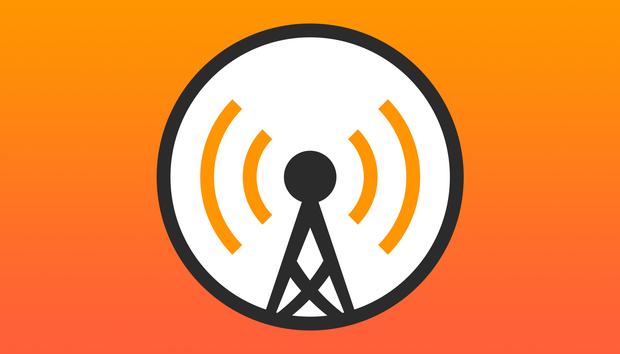 The new Overcast 3 (free on the iTunes Store) podcast app for iOS provides a crisp overhaul to many of the weakest interface elements and interactions of version 2.5, while preserving its core strength of user-customized playlists. Because so much remains the same, you should read our complete Overcast 2.5 review for the fundamentals. The app’s improvements and significant changes are called out in this review. Fortunately, nothing has gotten worse. Here’s what Overcast 3 does better or differently than version 2.5. Overcast 3 offers an on-the-fly queue option. Queuing. One of the biggest gaps between Overcast and its non-Apple competitors was the lack of an on-the-fly way to add podcasts to a queue. Version 3 creates a special kind of static playlist, the Main Queue, to which episodes can be added in any view in which you can see individual episodes. This isn’t as flexible or robust as Castro’s approach, but it fits in neatly with Overcast’s focus on playlist-based subscription and episode management. Wonky pop-ups, pop-overs, and sliders. Version 3 eliminates a number of different interface modalities for letting you interact with elements of the app by using a card view in most cases. This makes it easier to manipulate controls or simply find them in the first place, and scrapes away most of the app’s minimal routine frustrations that remained. For example, the Now Playing view is a card that shows the playback by default as the center of three cards: swipe right to get playback controls and swipe left to see show notes, which contain clickable links. The info button no longer leads to unwanted playback. Tiny i button fixed. This was a tweaky complaint of mine, but I wasn’t alone. A tiny i info-button target was used for episode interaction in all playlist views. It was easy to miss the target, which would then start an episode playback with no way to easy resume the podcast you had been listening to. That’s gone. The playlist view now has a “hamburger” re-order button so you can drag episodes. Tapping the episode reveals controls, such as sharing, favorite, play, and add to queue. A larger i target on that view then properly brings up show notes. If you didn’t use Overcast prior to version 3, it’s difficult to express how much this improves the interface. Recommendations for podcast to which to listen in Overcast 3 remains strong, but adding multiples is now possible. Adding multiple podcast subscriptions. Another minor but ongoing irritation was the podcast directory. You could spend a while searching and find multiple podcast to which you wanted to subscribe, and then after adding one the directory dismissed itself, and you had to perform the same searches and navigation to get back to the same place. That’s been fixed. Adding a podcast leaves the view available and in the same location. A change in patronage support. Developer Marco Arment has worked through multiple approaches for ongoing revenue from the app, and is now in his fourth iteration. He started with a freemium design, in which the basic app was limited, and an in-app purchase unlocked the full app. This shifted to voluntary patronage, which included a few extra features. That didn’t pan out quite as well, so he moved to free with ads from an ad network coupled with Overcast Premium, a $9.99-a-year patronage level that removed ads and added non-podcast feed file uploads. Overcast 3 is the final icing on a cake that’s been perfected over three years. All of the tiny flaws coupled with the inability to create a simple queue have been reworked. Improvements at this point are only about massaging the app rather than achieving a new apotheosis. The only issue with Overcast that might prevent someone adopting is at their app of choice is whether its playlist approach matches the way in which they consume podcasts. If you routinely listen to most podcasts to which you subscribe and episodes you add manually, or create custom lists to shift among as you commute, travel, or workout, Overcast is the best app for your needs.